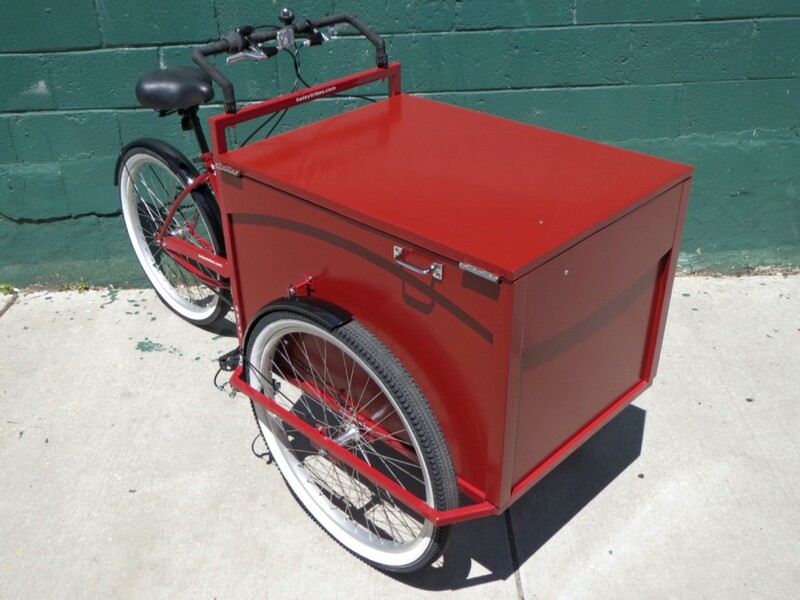 Haley Tricycles is dedicated to creating reasonably priced, durable, efficient and fun cargo tricycles. 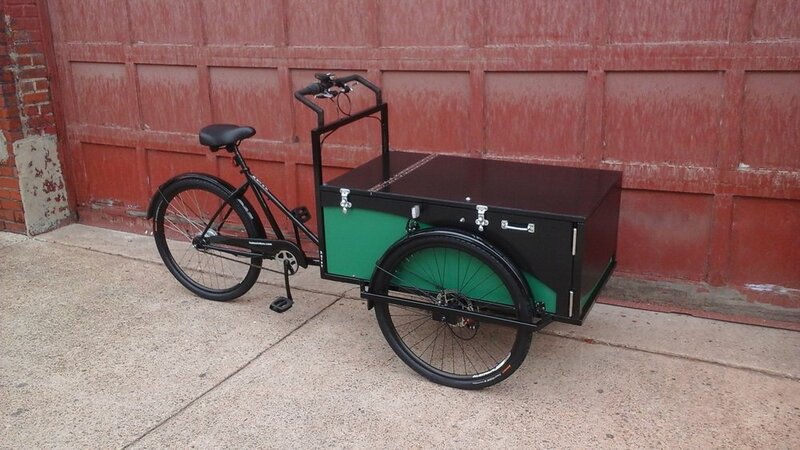 Our trikes are built for transporting hundreds of pounds of cargo around town, inside a sturdy, lidded, lockable, beautiful box. They are used for personal cargo transport as well as commercial and non-profit use. 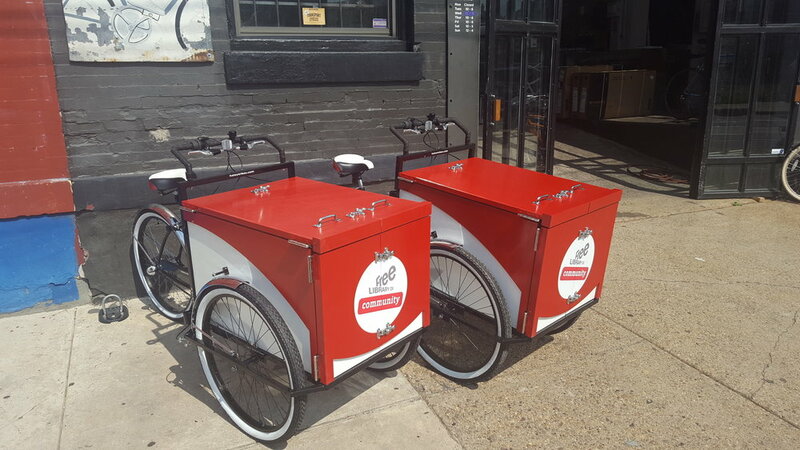 Haleys are built in Philadelphia, PA, with easily serviceable standard bicycle components, all stainless and marine grade hardware, and durable finishes. 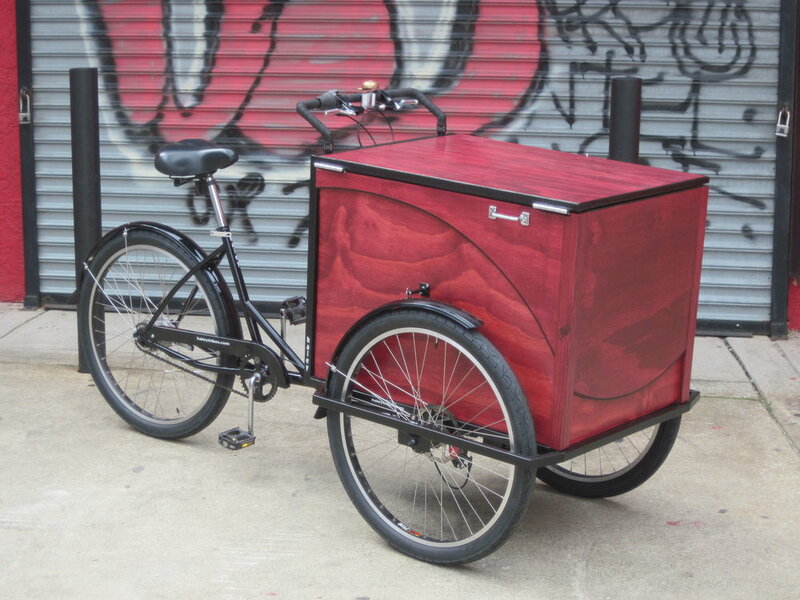 Our most common models are Coffee Trikes, Book Bikes, urban cargo transport, and dry goods vending. Check 'em out! 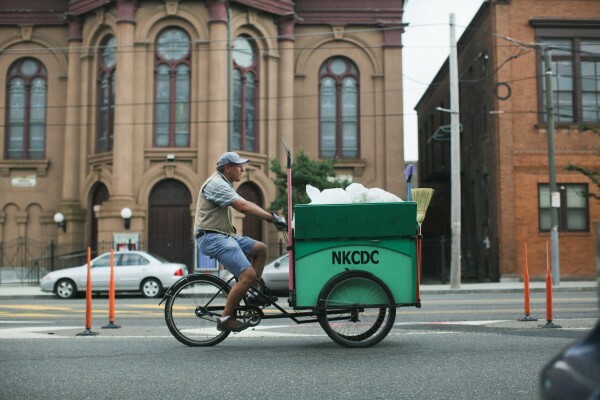 Haley Coffee Trikes are all over the country. 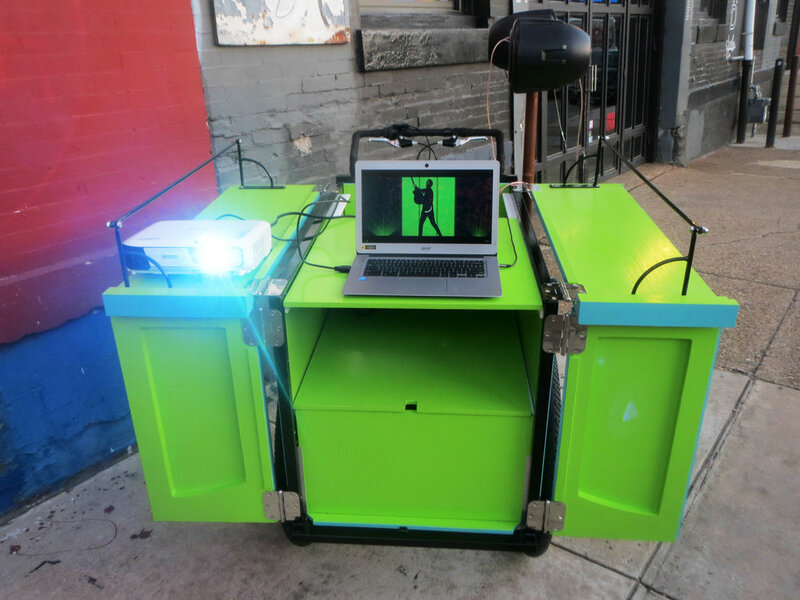 The box is sized to fit mobile coffee equipment, with draft towers, built-in work stations, and serving tables. Have you spotted one? 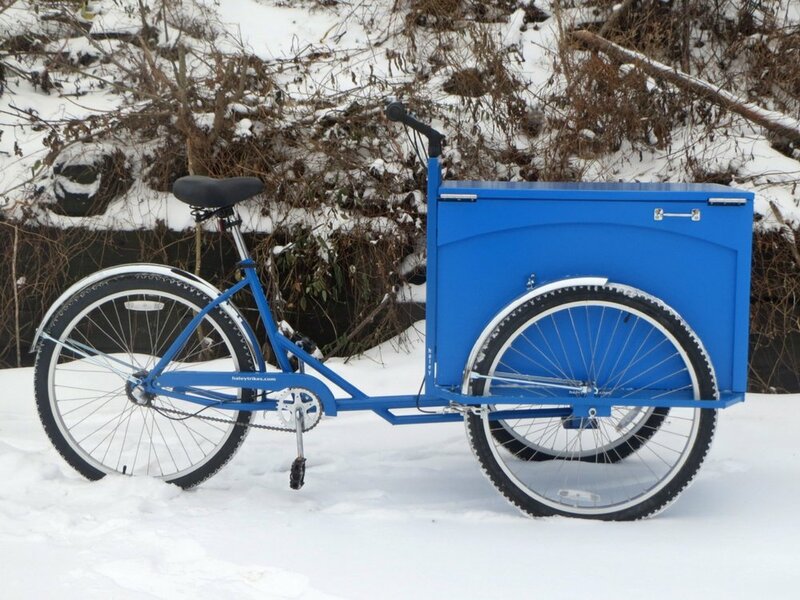 We built the first known Book Bike in North America, at least in a few generations. 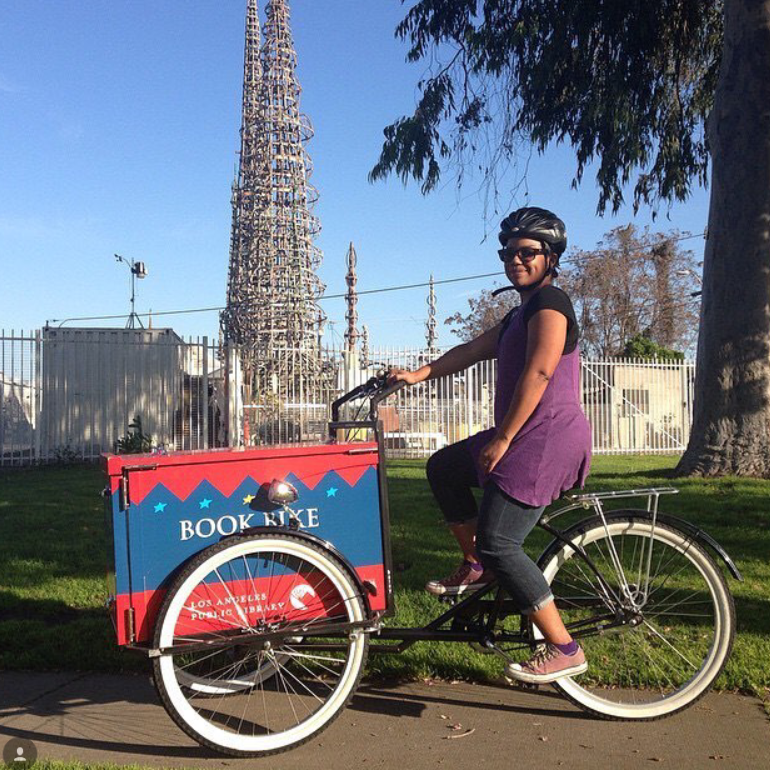 Every Book Bike has three levels of book displays, used for library outreach programs, events and parades. The original Haley Tricycle design,. 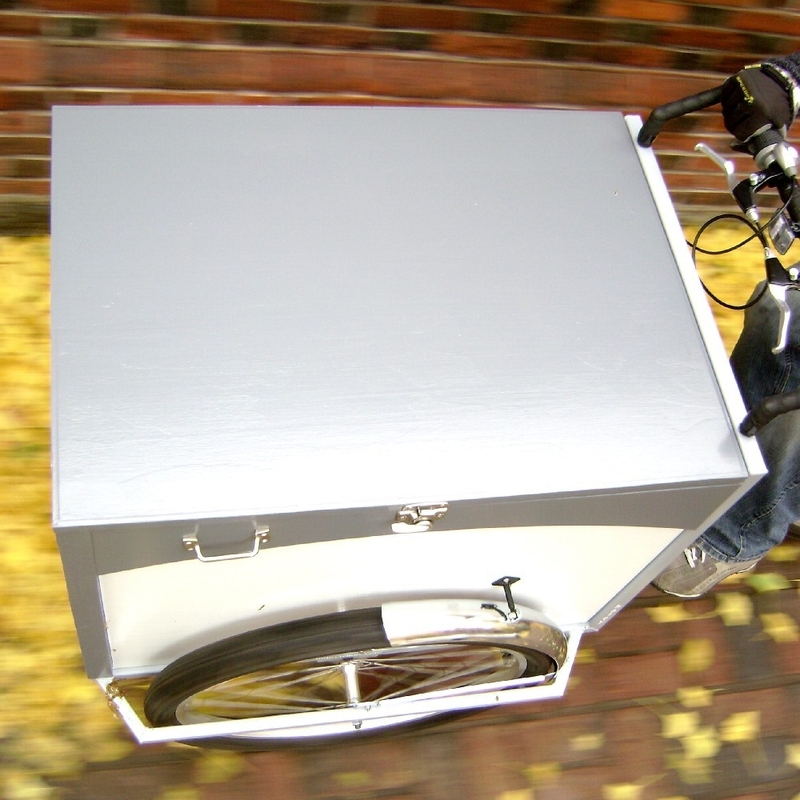 We build the box to fit your gear, and can customize it to suit your needs. A good bicycle can replace a car; a Haley can replace a van. Whatever you do, we'll put it on three wheels.